See the difference real quality makes. Failure is not an option. Especially on a busy ramp where every moment counts and the difference between optimal efficiency and time lost can depend on the GSE parts you choose. RAMPTECH® PCA adaptors from Sage Parts are engineered best to perform best – day in and day out, year after year, under the most demanding conditions. Hot and cold temperature extremes? No problem. Corrosion? Forget about it. RAMPTECH® PCA adaptors resist corrosion and they feature a patented non-metallic design with high-impact polyethylene and amorphous nylon construction for unmatched overall durability. Compare, and see the difference: for example, it’s common for metal adaptors to not only rust but also to develop dangerous edges and even get crushed as they drag along the ground...compromising safety. Sharp edges often damage hoses. RAMPTECH® PCA adaptors are impervious to those challenges and due to their extremely lightweight design, RAMPTECH® PCA adaptors are very easy to maneuver on an airport ramp – increasing the productivity of ground support personnel. 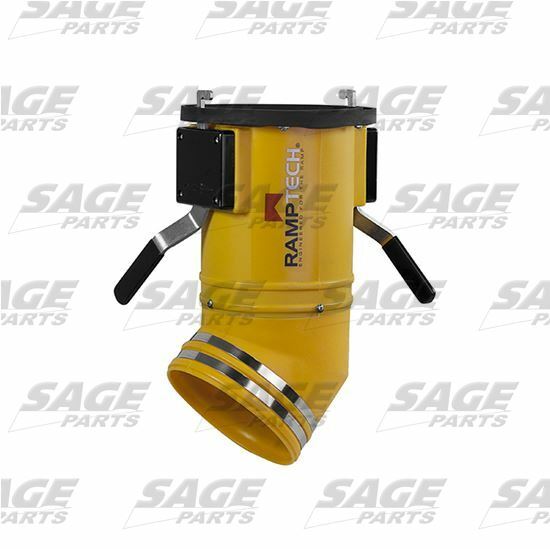 Sage Parts offers RAMPTECH® PCA adaptors in a wide range of sizes including 8” x 8”; 8” x 12”; and 45-degree x 360-degree swivel adaptors. See all configurations below.